In our last blog post, we gave you some alternatives to Down Dog. But if the pose feels relatively comfortable except for your wrists, here are some options to modify just the hands and arms. Give them all a try and see which works best for your unique anatomy. ▫1. (top) Roll your mat up and place the heel of the hand on cushioned area, fingers on the ground. Press down through the front of the hand to help avoid wrist pressure. ▫ 2. (left) Make fists with your hands and press fists into mat, strengthening the wrists. Effective but it can be a little strange for down dog - so it will take some getting used to! ▫3. (right) Drop down to forearms, spread the fingers wide and practice pressing down into the front of the hand where fingers meet the palm. So you're in class. And you're in Downward Facing Dog. Again. And your wrists are like ... nope. And your shoulders and arms are unhappy with you. And you know what? That's okay. While Downward Facing Dog is considered one of our "classic" and common yoga postures - it is hard. And it takes practice to build up the strength and endurance necessary to hold this posture comfortably. If you've attended a Yoga + Beer class, then you'll know that we like lots of options at Yoga + Beer. And we fully support not forcing things that don't feel good. This pose is harder than we give it credit for sometimes, and sometimes you need alternatives. 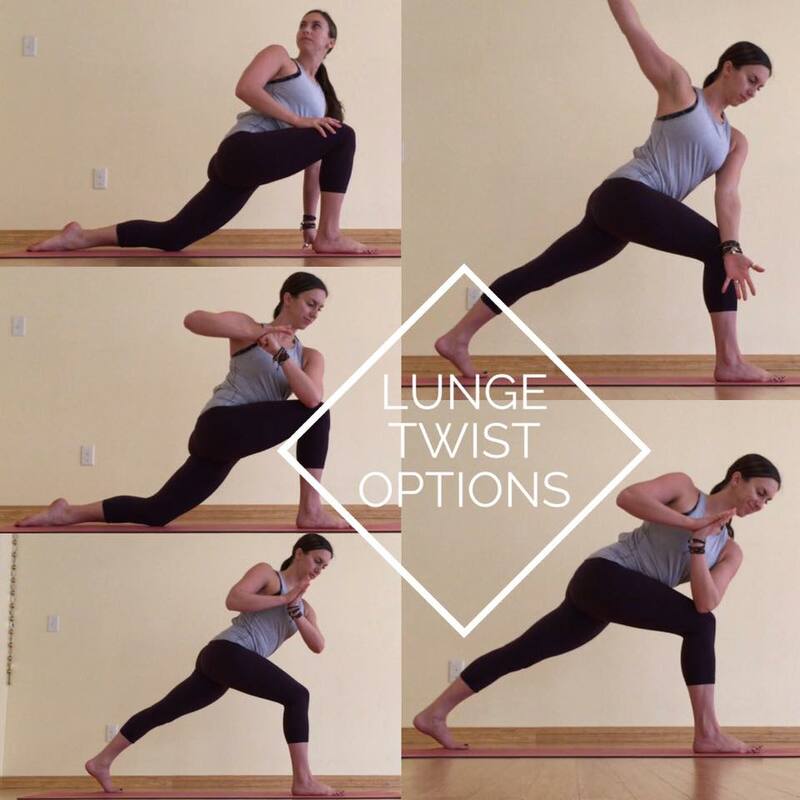 Don't beat yourself up, just choose one of these options which will help you continue to build strength for Downward Facing Dog. Before you hate on Down Dog, assess where your weight is. Can you pull more weight back into your feet and out of your hands? Are your fingers and palms doing their fair share - or are your wrists doing all of the work? What if you bend your knees a little bit, does that make it more comfortable? Drop down onto your forearms for dolphin pose. It's hard in its own right, but gets you off your wrists. Keep elbows in line with shoulders. And if this pose is really intense in your low back or hamstrings you can take your feet wider on the mat, and maybe even bend your knees. Drop down onto your knees for table. Wrists under shoulders. Knees under hips. Long, flat back. You can work the strength of yours arms, the length of your spine and the support of your core in this shape - all of which are necessary for Down Dog. It's basically a less intense version of dog down. And finally there's a Child Pose, but in an active form. You can just relax here if you are feeling like you need to chill out. But if you want to keep working endurance for Down Dog ... instead of just laying in the shape, press down into the palms and get your arms active enough that your forearms and elbows lift off the ground. You can work your down dog arms in this shape, but with less intensity.